Councilmember Michael Brown: "I Saved Ward Six." 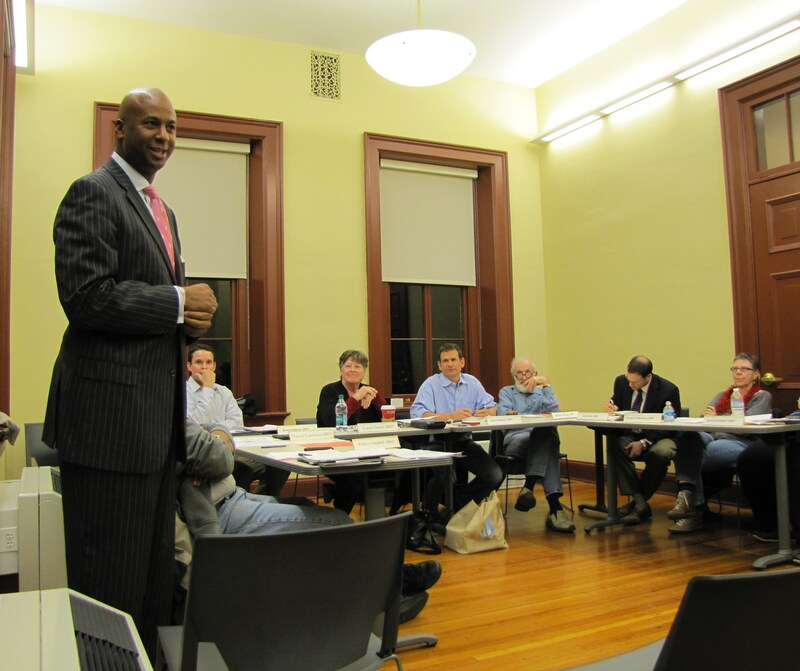 The highlight of last Tuesday night’s ANC 6B meeting was the appearance of At-Large DC Councilmember Michael Brown, who wasted little time in claiming credit for keeping Hill East within Ward 6 in the recent redistricting battle. “I saved Ward 6,” Brown stated flatly, an assertion that seemed to rankle ANC Commissioner Campbell, who challenged Brown by expressing his concern about losing Reservation 13 to Ward 7. Brown responded by saying that he “didn’t do anything that the Councilmember [for the relevant ward] didn’t want done,” implying that Ward 6 Councilmember Tommy Wells approved, if only tacitly, of the transfer. Asked what his vision was for Reservation 13, Brown downplayed reports of a Redskins training camp for the site saying he favored multi-use or mixed-use projects, including shopping, retail, and green space – ways in which the community will benefit and the District will get tax revenues. He noted that the area constituted the largest undeveloped plot of land in the District of Columbia. Regarding the contentious proposal to extend the boundary of ANC6C to Independence Avenue at the expense of ANC6B, Brown said the City Council will hold hearings and have to decide whether to take the recommendations of the Ward Six Redistricting Task Force. Wells – against the Task Force recommendation – supports an East Capitol boundary for ANC6C. In other business, repentant Department of Transportation Public Space manager Matthew Marcou appeared before ANC 6B to acknowledge that the process for licensing use of public space permits was being revised to provide “better coordination, apparently an acknowledgment that the recent licensing of the 18th Amendment sidewalk café without ANC 6B input suffered from a lapse in just such a process. Public Space Inspections Chief Elliott Edwards said complaints about public space use are inspected by his office within 72 hours. ANC Commissioners did not seem prepared to take the initiative in reporting what appear to be violations of public space use by sidewalk cafes on Pennsylvania Avenue and 8th Street, SE. Concerned citizens should call 311 to report violations. Agreed to send a request to Protective Services Police Department requesting regular reports on crime statistics for incidents taking place on Reservation 13, noting that the lack of data obscures the true picture of crime trends in the neighborhood and makes it easier for DC government to continue to increase social services provided at Reservation 13.